Nearly everyone wants to look good, which, in the popular sense, means thin. When getting thin fast becomes a goal, dieting might seem like an easy tool. And that is the reason diets have a huge following, with the shelf life of a fashion trend—be it atkins, blood group diet, paleo, gluten-free and so on. The latest to join the bandwagon are the keto-dieters. What exactly is the keto diet? In this diet, one is expected to eat more fat, proteins and very little amount of carbohydrates. 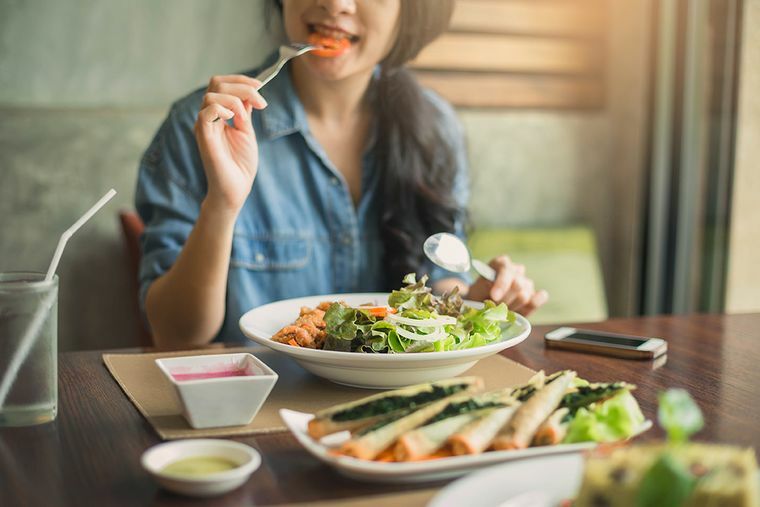 “While following the keto diet, one is expected to get 70 per cent of your calories from fats, 25 per cent from proteins and 5 per cent from carbohydrates,” says Bengaluru-based nutritionist Anupama Menon. Anupama recommends clients with PCOD to initially follow the keto diet. “I do that because some hormone-related problems can be combated with help of healthy fats like Omega 3 and Omega 6,” she explains. The keto diet, according to Anupama, is a great way to break a weight-loss plateau. Mumbai-based nutritionist Dhvani Shah agrees. “However, in the long run, the diet could cause irritability and lethargy owing to lack of energy,” she says. This is because carbs are the main source of energy, and since the keto diet does not allow one to eat grains, our body slowly becomes more tired and develops a deficiency of vitamin B2, B12 mainly found in grains. It also develops a deficiency of magnesium. And, to avoid this, Dhvani recommends we include high-fibre, gluten-free grains in our diet like jowar and bajra. “Going gluten-free is a great way to lose weight as it helps fight bloating. Also, since most of our work is sedentary, our bodies don't require as much gluten for sustenance. But if you are ingesting starch or some form of gluten, be sure to alter your activity level accordingly,” she suggests. Joydeep Ghosh, consultant, internal medicine at Fortis Anandapur in Kolkata echoes the thought. According to him, the keto diet is not a great option for diabetics or those with blood pressure issues. “When you are diabetic, your blood sugar levels are not balanced. In addition to this, you are completely eliminating carbohydrates, which could be a good source of sugar. This could throw the entire system out of balance and cause complications,” he says. He also does not recommend this diet for those with any kidney issues. So, why is the keto diet so popular and why does it seem to work? “When most of your calorie needs are met through healthy fats like almonds and other nuts like macademia; ghee, olive oil, avocado, oily fish and meat like chicken, the body goes into ketosis. That is, a ketone body is produced and your gut lining becomes healthy, leading to better metabolism increased levels of satiation. This means you crave for less sweets, your body's energy needs are met by fat leading to weight loss,” Anupama explains. She however, does not endorse the diet nor recommend it for the long term. “It can only be used to break a weight loss plateau,” she maintains. She also goes on to say that it would be wiser to get one's blood tested for cholesterol levels, sugar and other nutrition-related discrepancies before starting the keto diet. She also recommends consulting with a doctor and a nutritionist before starting the diet.